I know this must be in the rules, but it is alluding me. If a charging unit is shot into retreat, does it still combat, then retreat or retreat before combat? We let them always retreat before combat. A typical failed charge. The idea is they retreat away without melee fighting taking place - the charge has been seen off by firing. See p.25, 'Firing in the Charge Phase'. Note that the 'react immediately' rule has been superseded by waiting until the end of the move phase before reacting (see the amendments download). The process I play is: move the chargers into contact (it's not a charge unless this is done, see p.21), carry out firing, make retreat or rout moves if required. It might be argued that the opening sentence of the section on p.25 is a bit misleading. I agree - it would probably be best re-worded. Firing at a charge will almost always be at close range. However, if you prefer to take that sentence at face value, you could play that the defenders state the range at which they are firing and any retreats/routs are measured from there. I always find the key to attacking a BUA is artillery support. On occasion I have seen artillery drive defenders from a BUA with no need to assault. However, the rules were intended to make attacking a BUA costly and difficult, although less so than when using Black Powder. I would have thought a 4 to 1 advantage should do it in most cases. You might also try and contrive attacking from more than one direction at once - and don't forget the plus modofiers for supporting units in melee. I can remember our 2nd refight of Weissenburg (1743). We had a Brigade of 2 bavarian batallions, who made the aussault on a redoubt hold by a troop of austrian light infantry. The croats under Trenck could shoot at one of the bn.s and that was driven off at the Moment and the second came into contact but was defeated easily. As Keith said it: to storm a BUA or redoubt is defficult. In most cases we managed it not until we brought a medium or two light batteries into position to blow the defenders away. The Schellenberg 1704, the redoubts at Fontenoy and many examples tell their Story. To storm a well defended redoubt was costly or even impossible. 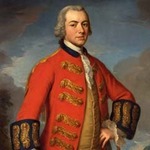 I can recommend the book by our forum's member rebel or the blogentry on obscure-battles about Fontenoy: Ingolsby for example refused their the attack on a Wood and the redoubt of the d'Eu regiment and reclaimed to get artillery Support. Although not always successfull some help by artillery (perhaps 2 pieces only) had a psychologically effect. Sometimes to wait for artillery support changed the events to the benefit of the defender, when the attacker lost their momentum while waiting. I'm excited to see how well the defensive french fieldworks at Fontenoy will work in our next battle. Will it be possible to fight one after the other down by our second line of battle? At Old Fort York in Toronto, Ontario, Canada, the fellows forming the "guard" enactors are mostly dedicated wargamers. They got into a serious debate about whether cavalry could actually attack formed infantry. One of the members of the guard is also a member of the Demonstration unit of the Governor General's Horse Guard. They are the ones that put on the "show" on horseback during official appearances by the Governor General of Canada. He was quite good with a horse. To resolve the debate, he agreed to ride full tilt against 8 of the Fort York guard, holding artillery rammers as if they were bayoneted muskets. He charged at the 8 fellows, and the horse dug in his feet and threw him before he got within 10 feet of the rammers. This agrees with what Charles Grant Senior said 50 years ago: Cavalry cannot melee with the front of a properly formed infantry unit. If the cavalry charges, one of two things will happen: 1. The infantry will break and run and get ridden down by the cavalry, or; 2. the cavalry will lose its morale before it gets to the infantry and turn and run. Witness the French cavalry milling around the British squares at the battle of Waterloo. Not one square was broken. I wish I could remember where I read one account describing how new recruits were trained to deal with a mounted attack. To give them confidence in dealing with cavalry, a sergeant would stand with a broom, the handle pointing upwards at a slant. A mounted officer would then urge his horse forward. When the horse advanced on him, the sergeant stood his ground. This made the horse hesitate. When it did move forward and came too close, he thrust the broom handle up its nose (or tapped it - I cannot remember exactly). This made the horse back away. Of course, that was only one part of their training but it helped to lessen the fear of being confronted by such a large adversary. Whilst noting 'he was quite good with a horse,' I wonder if that's where one of the "guard" re-enactors got his idea. "Infantry officers should mount a strong and sturdy horse … in the presence of their men, and then try to ride down a foot-soldier, who will stand firm armed only with a pole; they will then see that by pointing the stick at the horse's eyes or tapping its head with it, the horse will shy and refuse to advance …. The officer should then sieze the opportunity to point out to the soldiers that if a horse will not ride down a man armed with only a pole how much less will cavalry prosper against formed battalions, whose bayonets, bullets and din of arms … are even more capable of scaring the horses."